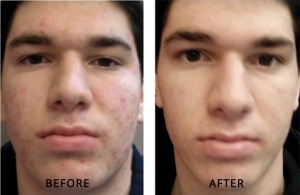 Toronto, Isolaz™ acne & pore purification treatments have arrived! Isolaz™ is Dermatologist recommended to treat acne, control oil & inflammation, calm redness all while helping with the prevention of scars. 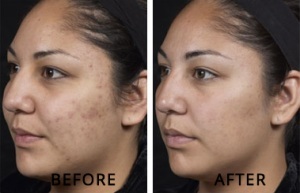 It is no wonder that those who suffer with acne are relieved to learn of this non-prescription laser acne treatment option. 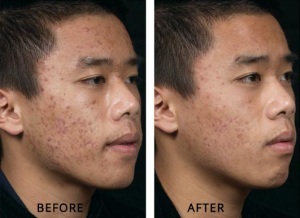 Isolaz™ is an FDA- and Health Canada-approved breakthrough treatment for mild to moderate acne. Isolaz™ uses a revolutionary combination of vacuum and broadband light (BBL) to drain pores and kill bacteria. 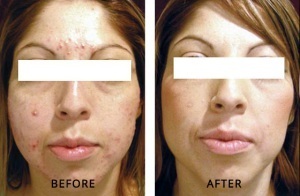 Not every acne treatment around Toronto promises such a cutting-edge approach, with proven results. Isolaz™ removes blockages in the pores, including blackheads, dirt, oil, and dead cells. The light destroys bacteria and shrinks oil glands. Skin is purified from the inside out. Treatments are safe, painless and effective. There is no down time and all skin types can be treated, even those with darker skin. 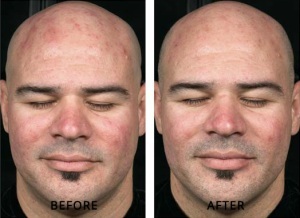 What will I look like after an Isolaz™ treatment? 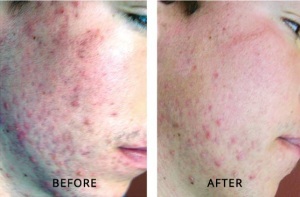 Most clients experience mild redness post-treatment but this does not last long. Your skin will feel smoother and you will be able to resume normal activities. Pre- and post-treatment sun protection will be discussed at the time of consultation. Additionally, our staff will conduct a thorough consultation with you to ensure your home care regime is well suited to your skin problems. More often than not, clients use skin care products that are too aggressive or are ill-suited to their condition. Clarity Medspa carries only acne products that are scientifically backed and proven for managing skin that is prone to acne breakouts. How many Isolaz™ treatments are required? On average, clients require 3-6 sessions to get their skin problems under control. Although a single session can address oiliness and breakouts, multiple sessions produce optimal, long-lasting results. Some clients return for maintenance every 3-4 months or will move on to other treatments such as peels, microdermabrasion, Fraxel™ or Pixel for scars, and sometimes photofacial rejuvenation for redness. 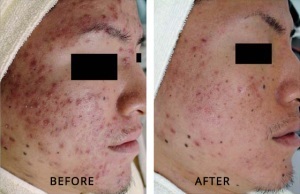 For caring, effective acne treatment in Toronto, call Clarity MedSpa today for your free consultation: (416) 960-2222. Additionally our staff will conduct a thorough consultation to ensure that your home care regime is well suited to your skin problems. More often than not, clients use skin care products that are too aggressive or ill-suited to their condition. On average clients require 3-6 sessions to get their skin under control. Although a single session can address oiliness and breakouts, multiple sessions produce optimal long lasting results. Some clients return for maintenance every 3-4 months or will move on to other treatments such as peels, microdermabrasion, Fraxel™ or Pixel for scars, and sometimes photo facial rejuvenation for redness.